Although over 75% of the Caribbean “didn’t even have a breeze” from the devastating hurricanes of 2017, the CEO of the Caribbean Hotel and Tourism Association said the impact of Irma and Maria were widespread across the region. Despite the residual implications of the hurricanes, along with rising concerns of global economic uncertainty surrounding issues like Brexit, and high airfares, Comito took the stage to announce that tourism officials in the Caribbean are upbeat about the year ahead, with 85% of hoteliers surveyed in the fourth annual CHTA Industry Performance and Outlook Study expressing optimistic views. The main factors driving these positive results are: unprecedented growth in airlift, continued increase in capital investments, new and updated properties coming on stream, and that fact that tourism is bouncing back in destinations affected by the hurricanes, complete with a new and improved offer. Coming at a time when customers are demanding richer experiences while travelling, Affonso-Dass believes the Caribbean needs to focus on promoting itself beyond the sun, sand, and sea. 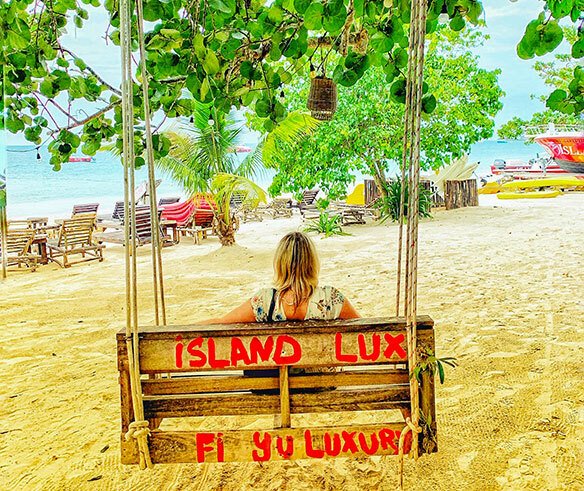 While there’s no denying Canadians like their warm escapes, she says there a slew of interesting and exciting experiences that await in a region that spans 2.754 million km², and a focus should be placed on the local connections. Produced by the Caribbean Hotel and Tourism Association in collaboration with the Jamaica Hotel & Tourist Association, the Jamaica Tourist Board and the Jamaica Ministry of Tourism, the recent trade show marked the fifth time Jamaica hosted the event, welcoming 576 supplier delegates from 147 companies. The Jamaica Tourist Board’s director of tourism Donovan White said the destination is coming off another record-breaking year with total arrivals exceeding 4.3 million visitors. 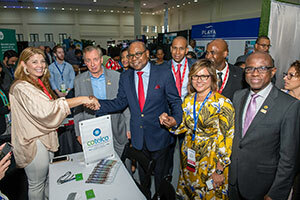 Jamaica’s Minister of Tourism Edmund Bartlett joins CHTA and CTO officials on the trade show floor during the 37th annual Caribbean Travel Marketplace. Dan Hamilton, district sales manager and acting regional director – Canada for the Jamaica Tourist Board, told CTP Canada represents the second largest source market for visitors to Jamaica and the goal is to grow arrivals from the market by 10% this year. With upwards of 78% of all bookings stemming from the trade, he points out that retail travel agents remain the primary conduit for visitors to Jamaica. White also announced the tourist board hopes to have someone in place to take on Philip Rose’s former post in the Canadian office before the end of March. This year’s Caribbean Travel Marketplace, the largest annual business-to-business tourism show in the region for delegates from Caribbean countries to meet with international buyers, saw representatives from countries like Argentina, Brazil, Canada, Colombia, India, Mexico, Panama, Peru, Poland, Puerto Rico, St. Vincent & The Grenadines, Switzerland, the United Kingdom, the United States and, for the first time, China, taking part in the show. One of the Canadians in attendance was Cindy Gerhardt, product manager at WestJet Vacations, who told CTP attending is a must because it provides the opportunity to meet a wide range of partners from all over the Caribbean under one roof. In his new role as manager of product for Hosted Villas, Wayne Noseworthy, said participating gave him the chance to meet contacts, suppliers, and owners, and renew contact with past suppliers and friends, as the company features multiple Caribbean destinations and high-end luxury villas for sale through the travel agency community. Meanwhile Christopher Stubbs, president of Caribbean Castles Resort & Villa Collection, Canadian representatives for The Pure Salt Orguidea, which is scheduled to open in Punta Cana, Dominican Republic in September 2020, took part to introduce the new build to buyers along with owner Miguel Amengual. 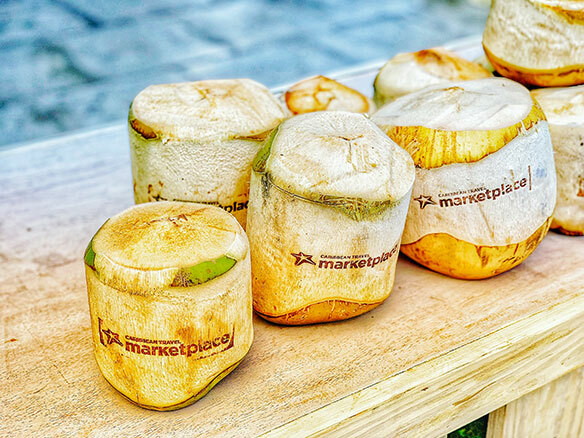 Stay tuned for the next edition, as CTP’s coverage of Caribbean Travel Marketplace continues with destination news and updates rang-ing from Saint Lucia Tourism Authority’s new interactive website and the latest on Jamaica’s hotel room growth to how St. Martin/Maarten is bouncing back in the wake of Hurricane Irma.